Get Fiesty in the Fall! Join us for a night of Bingo shenanigans and a TON of FUN! 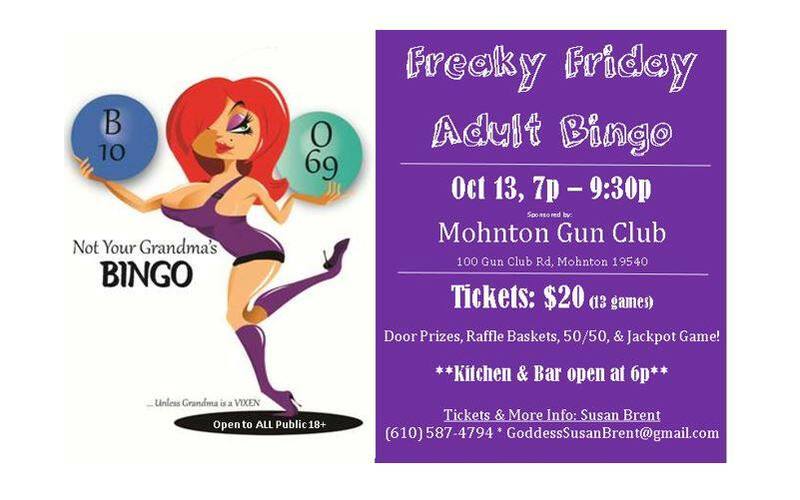 Come for Bingo then stay to hang out in the all-new, redesigned Mohnton Gun Club. You will be impressed! Fundraising: Bring an item to send in a Care Package to our Troops and get entered to win a Special Gift! Kitchen & BAR will be OPEN! FREE Door Prizes to the first 5 in the door!